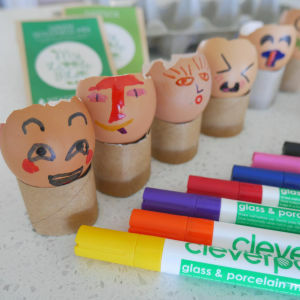 If you’re looking for a cheap, fun and quick project to do with the kids, have a go at making eggheads. 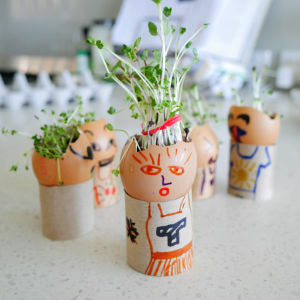 There’s lots of different seeds you can grow in eggheads, but the best seeds for eggheads are microgreens. 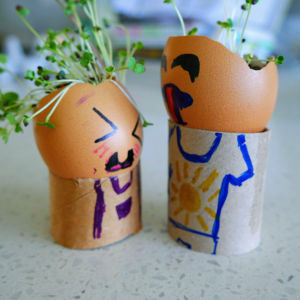 Microgreens are fast to germinate and only take a few days before your eggheads start to take on their own personality. The kids will love their microgreen hairstyles and you can cut them off when making your favourite meals and enjoy their nutrient-dense benefits. When you’re next making breakfast or cooking up a storm, start collecting egg shells. Think about the space you’ll need for the soil and crack them towards the top of the egg. Empty out the contents and give them a wash under water. You’ll need to remove the lining by just rubbing them with your fingers on the inside of the shell. Put them in a spot to dry. 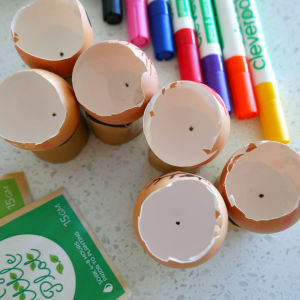 Grab yourself some markers from CleverPatch and the kids can start designing the outside. You’ll also need to make a small hole in the bottom of the egg for drainage. We had a chat about inviting them all to a party and what types of faces we could draw to create each character. 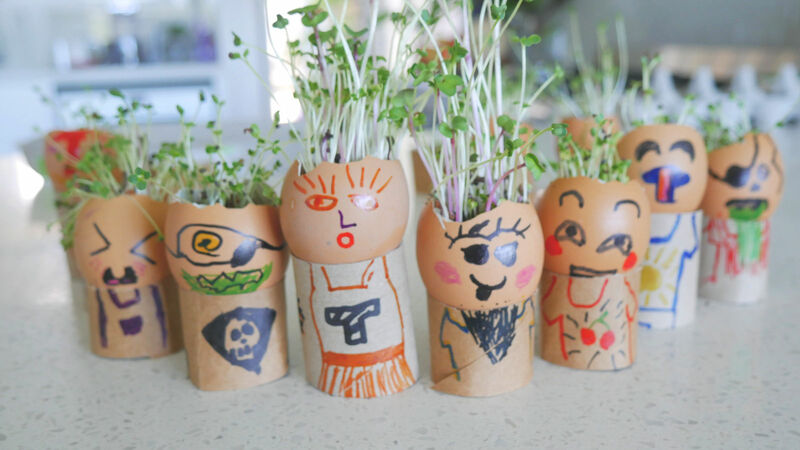 Using empty toilet rolls cut different heights for the egg bodies. You can decorate these once their hair grows and you can see what type of person they might be. 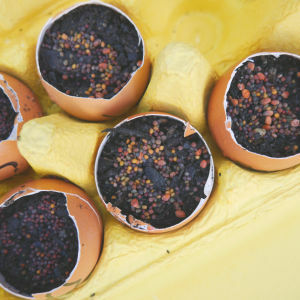 Fill the eggheads will a seed raising mix of soil and sprinkle your choice of microgreen seeds from My Little Plot on top of the soil. Using a spray bottle, drench the soil, and spray every day (especially in the hot weather). Place in a light-filled position on a kitchen window sill or similar spot. Within a few days you’ll see the seedlings start to emerge and each day they will keep growing towards the light. When they are big enough the kids can start designing the bodies and bringing the characters to life. Cut the microgreens when you are ready to use them and enjoy them on a pizza, in a salad, or even in spaghetti bolognese. Microgreens are packed full of nutrients and they are perfect for growing with kids.